A musician who can look back over hundreds of concerts in Finland, elsewhere in Europe and in Asia, Mika Väyrynen is one of the world's best-known and most highly-acclaimed accordionists. He began his concert career in the mid-1980s and has since been the soloist with almost all the professional Finnish orchestras, many European orchestras and at the music festivals the world over. As a chamber musician he has also appeared with numerous other world-class artists. An artist of outbounded energy, Mika Väyrynen is known for his unusually wide and demanding repertoire. Since 1990, Mika Väyrynen has released upwards of 20 discs that have aroused great national and international interest. Mika Väyrynen is an active performer and champion of contemporary music. He has works written for and dedicated to him by many composers, among them Jouni Kaipainen, Paavo Korpijaakko, Olli Kortekangas, Anatoli Kuzjakow, Kirmo Lintinen, Pasi Lyytikäinen, Pehr Henrik Nordgren, Juhani Nuorvala, Bogdan Precz, Kari Rydman, Aulis Sallinen and Erkki-Sven Tüür. 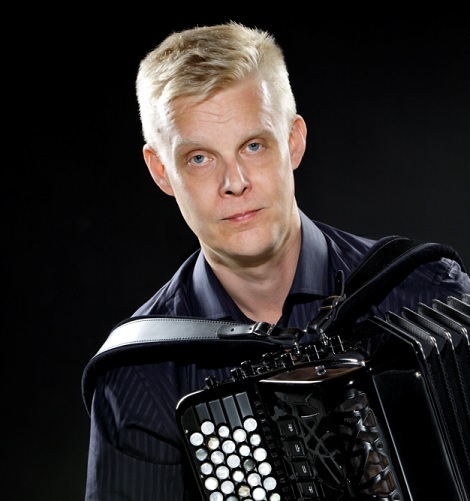 A highly-respected pedagogue, Mika Väyrynen teaches the accordion at the Sibelius Academy and has guest lectured at many foreign music academies.